The Coca-Cola sign is one of those things that makes you realize you are in San Francisco. Who hasn't become a little thirsty as they finish the drive into the City on the upper deck of the Bay Bridge? The bright Coca-Cola lights have been in the South of Market location since 1937. The location will still be all about Coke, but the next time you make the trip across the bridge you will see a brand new sign. Wednesday, Coca-Cola will officially flip the switch on new and improved signage. It will still be red, but it will also be green thanks to new LED lights and power offsets. The new sign is 80-percent more energy efficient. The company says it did that by replacing obsolete technology. 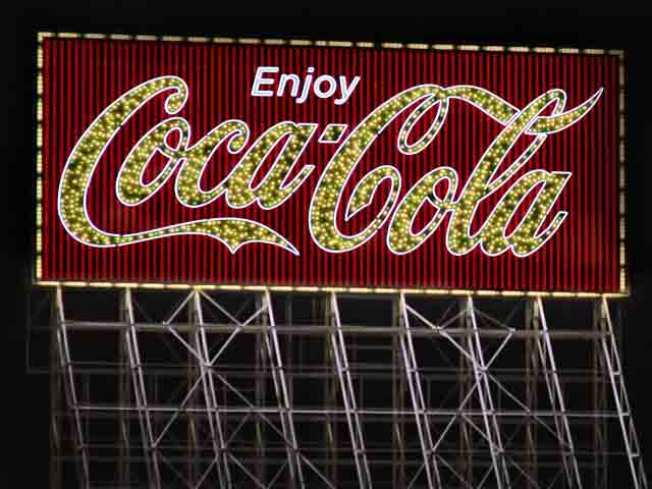 Coca-Cola also stayed with the green theme when it came to the destruction of the old sign. They recycled 90-percent of the metal materials and wiring. And when it came to relics such as neon, the company promises it trashed them according to the federal guidelines. So have a Coke and a smile everybody.